Next on the list? New siding, wrapping the fascia with metal to tie into the white porch and some type of driveway. We also started playing a little in Andi's future bathroom last night! Aren't her towels presh? 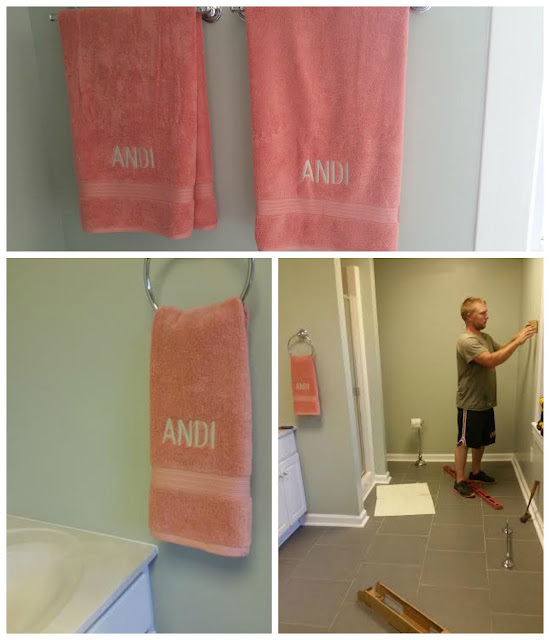 First off - Love little Andi's towels! Too cute! 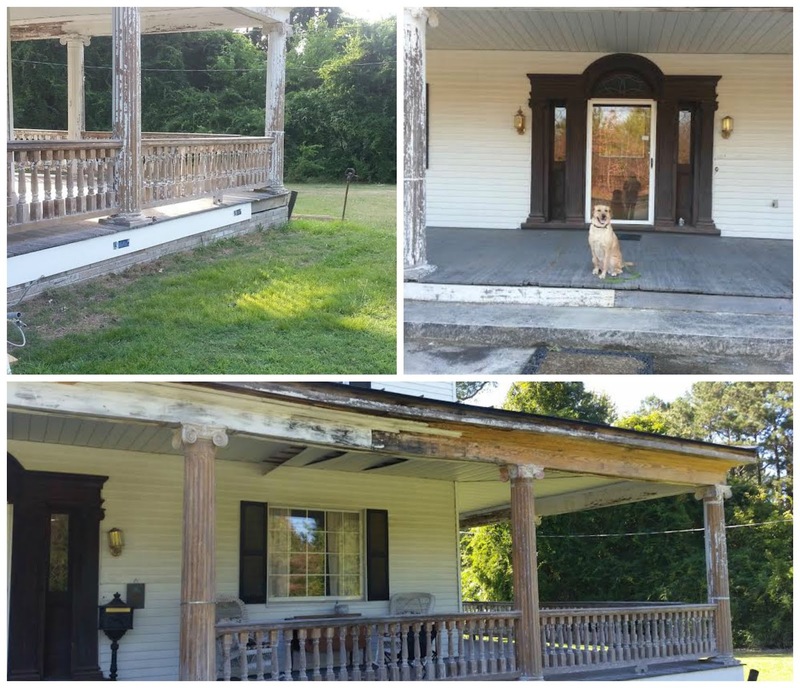 But most importantly i am sooo envious of this porch you are creating. 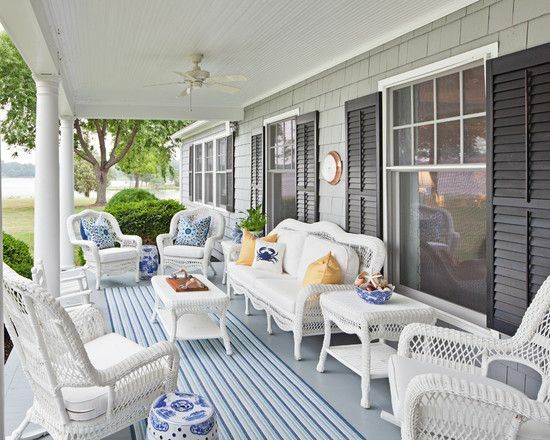 That is one big wish we had for our current house - a big southern porch. Can't wait to see the final! Yay for porch progress!! That is going to be awesome for some front porch sittin' this fall! And those little towels are too cute! love it. So fun watching your house come together!! 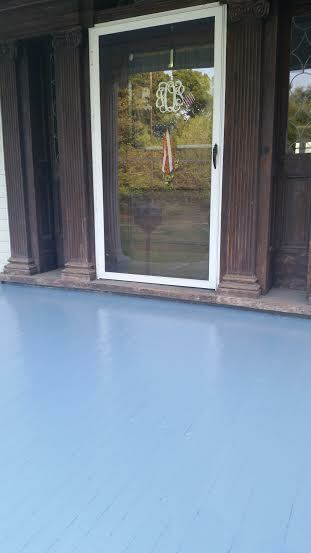 The porch is going to be so amazing - I LOVE the blue floor! Wow! Loving your porch! I remember thinking it was awesome before and y'all have put a lot of work into it. Great job! You have the porch of my dreams, lady! Love Andi's lil towels, so precious! Oh my gosh, your porch came along so nicely and it is huge!! You are going to love your time out there! We I feel like we are on our deck more than in the house theses days, ha! It's nice to have a space like that. Your porch looks amazing! I know y'all are going to enjoy all the hard work very soon! I see furniture, a few plants/flowers, and a bottle of wine! Enjoy! Eek, loving the porch! Such a labor of love! Wow!! 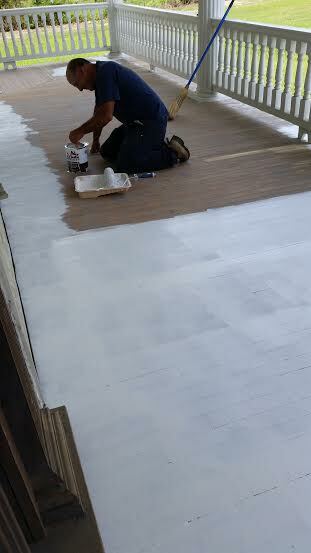 He is doing a fantastic job on y'all's porch! It is beautiful! I love the pin too. So classic and pretty. Wow the porch looks great. If I ever have a house, I totally want a big porch. The porch is look fabulous, lady! And, those towels are too precious. Congrats on the new linkup! Your porch looks GORGEOUS! I cant wait to see it all decorated! im pretty sure you are going to have to do a video tour of your house when its completed, just sayin!! Your porch progress looks great - I love the blue! 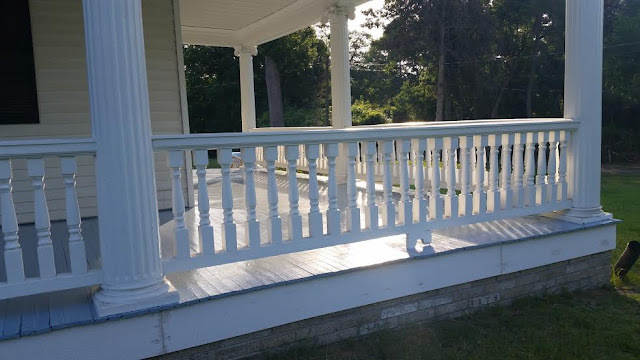 Your porch is looking amazing! What a perfect spot to sit with friends and family and enjoy good drinks and conversation! I can see you getting so much use out of that space once it's all finished! Your porch is so gorgeous and is straight out of Southern Living! I can't wait to see how you decorate your porch! You did such a good job painting it and that inspiration photo is amazing! I love how big it is, I'd live on that thing! I love your inspiration photo! 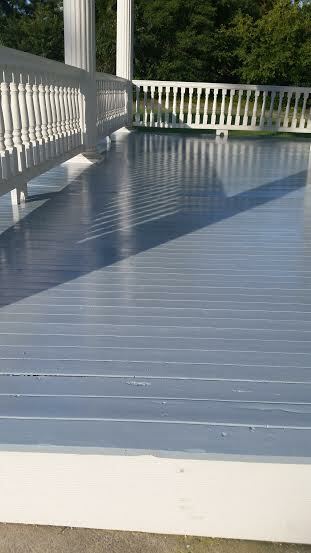 Your porch progress looks beautiful, what a difference fresh paint can make! Hey girl hey! Basically, your house in incredible. You should know this by now. 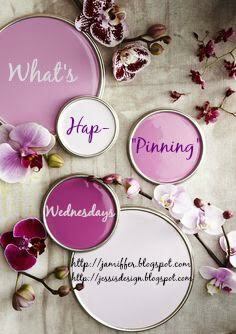 Thanks for hosting the linkup, friend! Hi! It looks amazing! 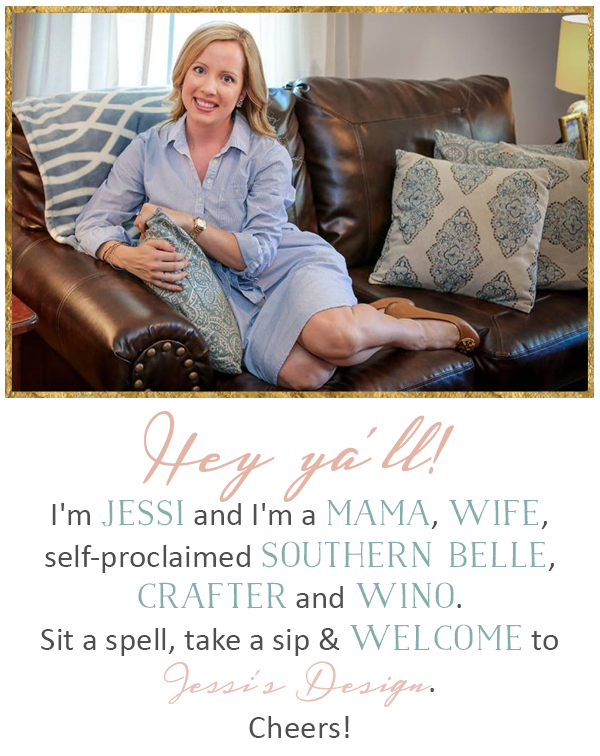 Very Southern Belle!! It reminds of the movie Sweet Home Alabama! Get Entertaining Girl! You have a gorgeous set up now!! oh my goodness! he definitely should be proud because that is a complete transformation. can't wait to see how you decorate it! OMG what an amazing job! The transformation is great! In the photos we can see the excellent quality of what you're doing. Lovely house! Wow! What a gorgeous porch! It is going to be so nice when you have it all done. It looks like a huge undertaking, but seems like all that time and hardwork paid off! Holy cow!! Your porch looks amazing!! I can't believe your hubby did all that - that is so sweet! excited to join your new link up and wow your porch looks great!! perfect for summer hanging out. Ahh! That porch looks amazing!! Y'all have done a great job!! I have to say that I'm pretty jealous of your big porch! What a dream it's gonna be when it's all finished!